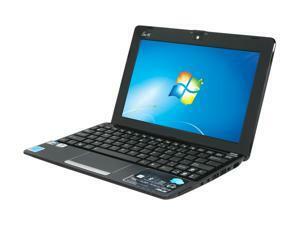 Looking for a new netbook? No, of course you’re not. Still, $260 for a perfectly adequate, portable word processor/web browser isn’t a bad deal. At that price you could leave it in the bathroom to replace your magazine rack. And then there’s always OnLive. Chop it up and mount it in a kitchen counter? Yeah, now we’re thinking! NewEgg.com has a sale on the Asus Eee PC 1015PEM-PU17-BK for $260 with free shipping. This little guy is packing a Intel Atom dual core CPU @ 1.5ghz, 250GB hard drive, and… 1GB of RAM upgradable to 2GB (um, really Asus? 2GB RAM?). The Eee PC 1015 comes racked out with the usual suite of netbook goodies: Windows 7 Starter, webcam, mic, 3 USB ports, VGA port, Bluetooth, and 802.11 b/g/n WiFi. It has a 6-cell battery pack that Asus claims will last 13 hours if you use it in the same space-time altering magic fairy lab they did to reach that figure. A quick product search shows these usually go for about $300. Space-time altering magic fairy lab™ sold separately. Want something a little snazzier? NewEgg also has a red one for $280 with free shipping AND a free external DVD burner.